Bitcoin is a peer-to-peer electronic cash system that uses a decentralized architecture. It has enjoyed superiority compared to other cyptocurrencies but it has also attracted attackers to take advantage of the possible operational insecurity. All the Bitcoin miners independently try to find the winning block by finding a hash lower than a particular target. On 14 th June 2014, a particular mining pool was able to take control of 51% of Bitcoins processing power, thus extracting the maximum amount of profit for their work. 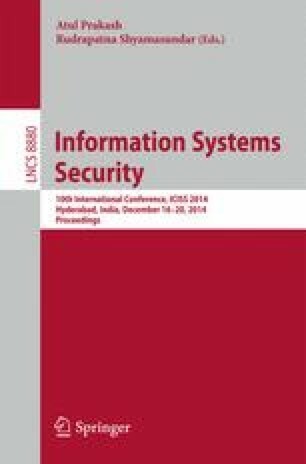 In this paper, we introduce a new defense against this 51% attack. We modify the present block header by introducing some extra bytes and utilize the Timestamp more effectively in the hash generation and suggest an alternative to the existing Proof-of-Work scheme. The proposed approach does not rely on finding a hash value lower than the target, rather it awards the miner involved in generating the minimum hash value across the entire distributed network. Fraudulent activities easily get caught due to effective use of the Timestamp. The new scheme thus introduces fair competition among the miners. Moreover, it facilitates the generation of Bitcoins at a fixed rate. Finally, we calculate and show how the new scheme can lead to an energy-efficient Bitcoin. Frequently Asked Questions. Transactions, https://bitcoin.org/en/faq#why-do-i-have-to-wait-10-minutes.